The HDE slim wireless Bluetooth rechargeable stereo headphone is a really cool headset, which you can use to listen to whatever you want without having to worry about getting tangled up with a bunch of cords. The HDE is a headset that also comes with hands free calling capability which will allow you to add the headset to any phone which has BT functionality. You will be able to make calls whenever you want and enjoy the freedom of not having to worry about accidentally unplugging the cord of your headphones. A few of the specs for these headphones are that the headphones work up to around ten meters, or thirty-three feet away from the device which you are using for the BT broadcast. The device which is broadcasting the BT signal will limit the distance which you are able to use the headphones at. A good device with a quality signal will allow you to use the headphones at a larger distance than a device with a weak signal. 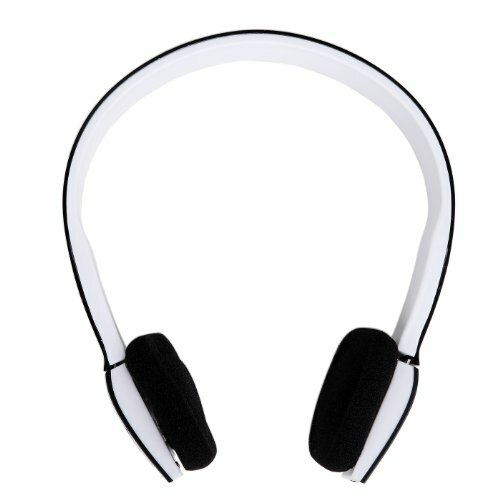 The headphones use Bluetooth v3.0+EDR, which is a newer BT specification. By using a newer specification you are able to improve the signal quality and reduce power consumption. You can also send more data at speeds of up to twenty-four Mbps. These headphones have a battery life of up to ten hours when fully charged. If you use headphones for a number of different functions, then you will really appreciate the battery life. Having to recharge headphones all the time can make a pair of wireless headphones nearly worthless.